The Leave campaign argues Brexit would give Britain back its control over immigration. Even if that were true, the current situation suggests control best comes through cooperation. Migration is one of the most emotive topics in the debate on Britain’s membership of the European Union. For those who favour leaving, the UK’s membership has become synonymous with uncontrolled migration. They believe that only by leaving the EU would the UK be able to restore control over its borders and reduce migration. As a result immigration is assumed to be one of the stronger cards held by the Leave camp. I think their analysis is simplistic and wrong, and that the weight of the argument for those worried about levels of immigration is in favour of remaining in the EU and using it to increase our ability to cope with immigration. The Leavers’ argument boils down to saying that within the single market we have to sign up to the free movement of people, and therefore unless we leave we are forced to let in unlimited numbers of residents of other EU countries. But would we really have this control outside of the EU? Most of those who argue for leaving say we would re-negotiate a trade deal with the EU that would be no worse than our position now. I have severe doubts about this Panglossian outlook, but for the purposes of argument let us accept this view. If we want to preserve our access to the EU single market but leave the EU, then we would have to accept free movement whilst losing our influence in deciding that market’s rules. This is the deal that Switzerland and Norway have had to make, and they actually have higher levels of immigration per head from within the EU than the UK. I suspect the Out side’s rebuttal would be that Norway and Switzerland are relatively small countries, and Britain could negotiate a better deal. I can only invite them to consider the real world. Any new trade deal would have to be approved by all 27 other current members of the EU. Of these, 25 have a trade deficit with the UK so they aren’t enormously pressed to reach a deal. Even more importantly, some of them have hundreds of thousands of their citizens in the UK, and it is highly unlikely that they would agree to a deal which suits the UK but disadvantages their own people. We will either have to give up on the single market or we will have to accept free movement (or “unlimited immigration” as the Leave side likes to call it). In contrast, it’s not hard to find a real world example that shows how leaving the EU would actually give us less control of our borders. Over the last year the world has witnessed the dramatic result of the humanitarian crisis in Syria. The movement of thousands of people from Africa and the Middle East to Europe has created conflicting emotions. No decent human being can be indifferent to the sight of families in leaky boats risking their lives, and sometimes losing them, in the Mediterranean. At the same time, we all know that encouraging thousands more people to follow their dangerous example would be a short-sighted response. Suppose the UK left the EU. What difference would it make to Britain’s ability to cope in a humane but sensible way with thousands of desperate people trying to reach Britain? This kind of question is hugely important to the wider debate about Britain’s continued membership of the EU. It is a potent, practical example of the question those who wish to leave are very anxious to avoid; what would Britain lose if it were not a member state? It is particularly important to discuss those realities in the context of immigration and asylum. In 2003 one of the advances we made was the transfer of border controls from the port of Dover and the channel tunnel in Folkestone to the French side of the channel. Under the terms of the Le Touquet treaty between the UK and France, checks for migrants trying to stow away illegally on lorries or trains heading for Britain are carried out by British border guards at a number of French ports. Since June 2003 the UK has operated immigration checkpoints in Calais and Dunkirk, while France has a checkpoint at Dover. The advantages for the UK are obvious. Instead of having every potential arrival stopped in this country, where they would no doubt claim asylum and trigger a long court process, many are now stopped in France. There is a very real possibility that, if the UK leaves the European Union, this arrangement may no longer continue. The bilateral treaty takes a lot of work on the French side to maintain. French officials have long complained that the burden of policing the border is much heavier for France than for Britain because far more migrants are trying to enter British territory illegally than the other way around. I believe it is highly likely that if we did leave the EU the treaty would come to an end. It was a treaty made in good faith by two partner countries in the EU. If Britain decided to tear up our commitment to the EU treaties, it would be a great temptation for France to do the same to the Le Touquet treaty. There are many French politicians who have made it clear that they would take the opportunity to scrap our cross-channel border controls if the UK left the European Union. The deputy mayor of Calais, Philippe Mignonet, has said that “we will have to cancel these agreements, because England won’t be in Europe anymore. So that will really be a foreign country for us”. Xavier Bertrand, the centre-right president of the Nord-Pas-de-Calais Picardie region, has also been quoted in The Guardian as saying “if Britain leaves Europe, right away the border will leave Calais and go to Dover, we will not continue to guard the border to Britain if it’s no longer in the European Union”. These views have also been echoed by the French minister of economy. If this were to happen, it would present real risks to Britain’s ability to control the flow of migrants into the UK as an influx of asylum seekers would turn up on our shores. The former head of the UK Border Agency has also suggested that Britain would face the prospect of more than 50,000 asylum seekers a year if it leaves the EU. The reason the treaty is so beneficial for us is that once someone has set foot on British soil he or she can claim asylum. Whereas if they are found concealed in a vehicle on the French soil they can only claim asylum in France. Before the treaty, asylum claims were running at 100,000 a year in the UK. Now they are running at about 38,000 a year. We can confidently expect that figure to rise significantly if we pull out of the EU and the French consequently pull out of Le Touquet’s obligations. So in this one instance not only would our borders be made less secure, the immediate consequences would be felt by people in Kent. As a Kent MP I feel especially strongly about this. Things are already difficult enough in Kent with the problems at Calais and Coquelles. It would be perverse to make these even worse with a deliberate act of national policy that would alienate our nearest neighbour and thereby tear up an agreement that works much more to our advantage than to theirs. This is just one concrete example of what happens when emotion takes over in the immigration debate, which often allows perverse policies to seem superficially attractive. Most people in this country recognise the distinction between those who come here to work and contribute (which encompasses the vast bulk of those who come from other EU countries) and those who do not. Leaving the EU would enable us to stop the former group while leaving our ability to stop the latter, at best, unaffected. If people look at the effects of the refugee crisis on Germany and hope that the same will not happen to the UK, then they have to decide whether we will have more control by being inside the EU or outside; whether we should continue to co-operate with our neighbours or tell them they are on their own. The latter course would not only be a dereliction of our duty to the wider world, it would not be to our own national advantage. Until we solve a number of intractable problems in the Middle East and further afield there will be refugees making their way to a continent, Europe, which is peaceful, prosperous and democratic. This will happen whether Britain is inside or outside the EU. Outside the EU we would have to face the consequences at our own borders of decisions taken by a group of countries from which we had recently divorced. In that situation, to ask them to have Britain’s national interest high on their agenda is to ask them to be saintly. Looking at the general picture, what we need is fairness in our immigration system, not a free for all. Those coming here should not be able to get something for nothing. People from other European countries should not be allowed to access benefits until they have paid into the system. But those who come here to work hard, pay their taxes, contribute to our economy and support our public services should be welcomed. Around 52,000 EU citizens work for the NHS. One and a half million people are employed in businesses owned by EU citizens. EU citizens have contributed £20 billion more in taxes than they have taken out in benefits. The facts are clear: the overwhelming majority of EU citizens in Britain are contributors, not freeloaders. To tackle those who are abusing free movement and to reduce immigration the prime minister has secured a breakthrough agreement for Britain to reduce the unnatural draw that our benefits system exerts across Europe. We have already made sure that EU migrants cannot claim the new unemployment benefit, universal credit, while looking for work. Those coming from the EU who have not found work within six months can now be required to leave. The new settlement states that EU migrants working in Britain can be prevented from sending child benefit home at UK rates. This will apply first to new claimants, and then to existing claimants starting in the year 2020. It also establishes a new emergency brake so that EU migrants will have to wait four years until they have full access to our benefits. Many Eurosceptics said it was impossible to achieve real change in this area and that a four-year restriction on benefits was completely out of the question – yet that is what the prime minister has done. Once activated, the emergency brake will be in place for seven years. If it begins next year, it will still be operating in 2024 and there will be people who will not get full benefits until 2028. Those who want to pull us out of Europe and end free movement should be careful what they wish for. We would lose our access to the world’s largest free trade area, the single market, costing us jobs and pushing up prices. We would compromise opportunities for British citizens to work, study, travel, and retire freely in Europe. 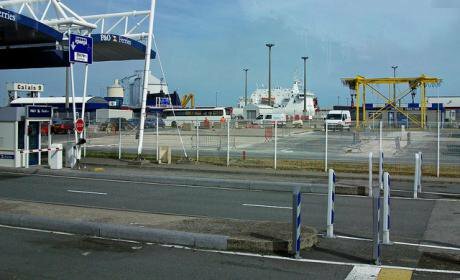 We would likely compromise one of our own strongest border controls, the juxtaposed controls at Calais. Even in the narrow terms in which the immigration debate is often conducted, we would lose out. We would give ourselves the power to stop desirable people coming here, which is at best pointless and at worse damaging, and we would compromise our border controls. This, by any standard, would be the worst of all worlds. Whatever the occasional frustrations of our current situation we are much better positioned to take action in pursuit of our own national interests as a member of the European Union.